Lots of people I know, including me, are in Facebook Jail right now. Some folks I know, real people who were loyal and avid Facebook users, are getting their accounts closed down altogether. Why is Facebook doing this? Why kill the accounts of real people and put loyal users in Facebook Jail for the slightest infarction? I’ll tell you why. It’s not about you – don’t take it personally. It’s about money – like always. Back in 2014 I wrote an article that turned out to be super-popular. This blog gets a unusually large amount of traffic and that article “10 Different Types of Fake Facebook Accounts” has been the most popular article since I published it – still. In it I gave 10 reasons, the top reasons I could name at the time, why people create fake accounts on Facebook. Back then I didn’t consider this new reason, an eleventh reason, because conditions were different back then. Facebook Jail is what Facebook users call the “punishment period” where Facebook prevents you from interacting. You can’t comment, post, share, or even react for a set amount of time. Essentially Facebook mutes you for some time period as a reaction to your “indiscretion”. The first time someone gets put in Facebook Jail it’s typically one day. Then, as other “offenses” occur afterwards the same user will be subject to longer and longer Facebook Jail times. Yours truly is riding out a 30 day stint in Facebook Jail as this article is written. I was “bad”. Back in 2014 you had to do something really bad to be punished on Facebook. Essentially you’d have to rack up several complaints about something you published, posted or commented on. 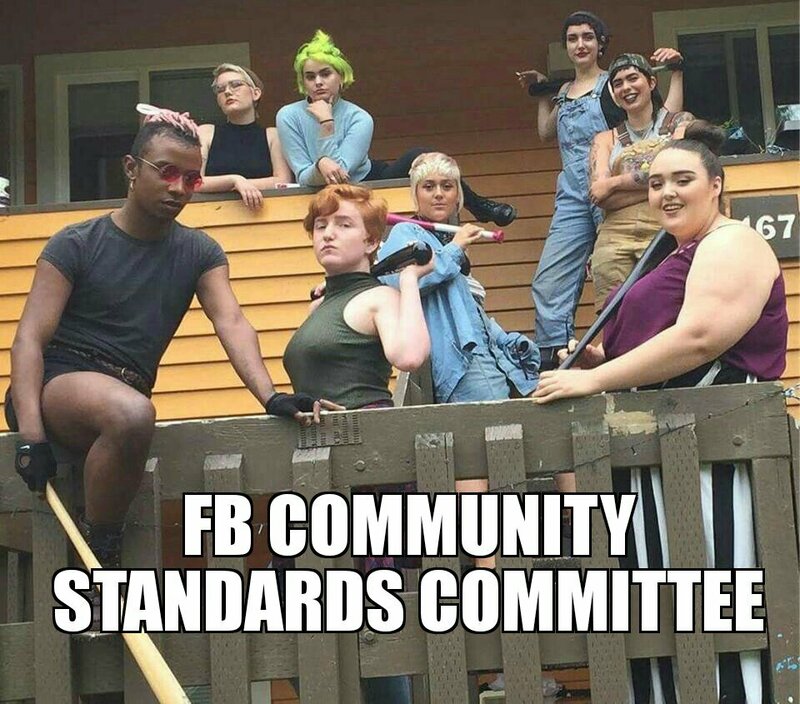 These complaints would come from other Facebook users – they didn’t have an aggressive “Facebook Community Standard Committee” or active algorithms scanning in real-time for triggering syntax. Back in 2014 you really didn’t hear about people, average people just being themselves – not trolling, being punished for simple conversation. Things are different now, four years later, in 2018. Now all you have to do is say the wrong combination of words in a post – whether the comment is supportive or hateful – and the artificial intelligence automatically puts your account in Facebook Jail. There’s also a more active and aggressive Community Standards team. It’s not 2014 any more. The slightest slip up gets you in big trouble. 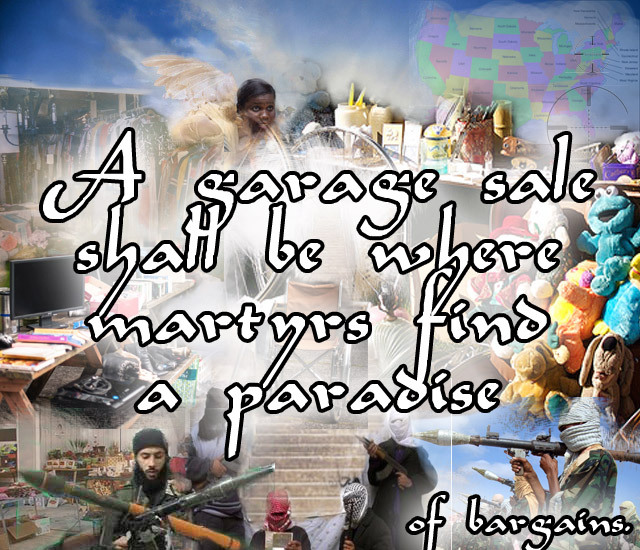 I don’t think garage sales are actually popular with terrorists. The first time I got thrown in Facebook jail was because some really uptight person got mad that I was making fun of her with a meme and reported me. 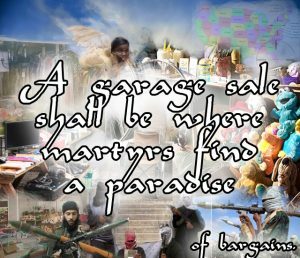 This lady was in a Facebook Group about politics and was telling everyone how she had a garage sale and encountered actual terrorists. She explained how the terrorists told her how they were planning on using the items they were bargaining for in an effort to overthrow the entire country. It was such a ludicrous notion. More likely she was giving the evil eye to some dudes who were too brown for her and they decided to mess with her on account of her prejudices. Funny stuff, not a real thing to be paranoid about, at least from how I saw it. So I made this stupid meme, just joking around. It got me 1 day in jail. At the time I didn’t care – it was worth the laugh. The point of the meme was to make fun of how absolutely stupid the idea was – especially if it were true. The meme I was making fun of. The meme I made that got me in trouble because of the word I had in it that was similar to “tyranny”. 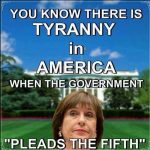 The second time I got thrown in Facebook Jail was for a political meme I created that mocked the fervor over Lois Lerner’s focus on conservative groups for audits at the IRS. It was a “liberal” meme because it was meant to trigger the conservatives who cared so much about the issue. 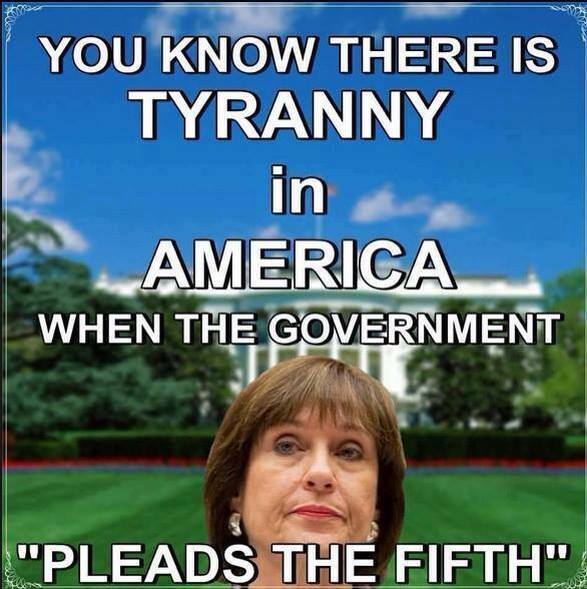 I saw another meme that had Lois Lerner’s face in front of Obama’s White House with the word “tyranny” over her head. My meme replaced the word “tyranny” with a very similar sounding word – omitting one letter. 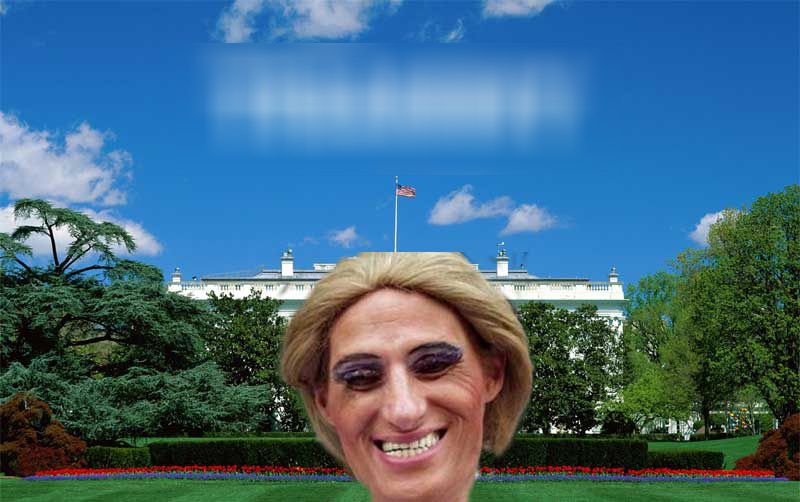 I won’t actually publish that word here – you can figure out what it is. I won’t publish it because you can still actually get thrown in Facebook Jail in seconds if you use it in a Post or Comment. 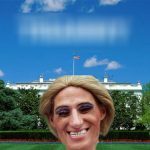 I thought it would be funny to trigger conservatives who were propagating the “tyranny” meme with my goofy comedic interpretation of it. I think I got three days for that. This was another case where I wasn’t trying to be hateful or mean, but just dealing with people being bigoted in a way me an a bunch of other people thought was funny. It’s OK if John Stewart or Trevor Noah does or says the same thing on TV. But it’s not OK if I do the same on Facebook… ok …. lesson learned. I thought John Water’s character: Divine was the one of the funniest “comedy” acts ever, but here in 2018 you can’t even talk about that stuff on Facebook. The third time I got thrown in Facebook Jail was for something completely innocent. I posted a link to a news story about City Council candidates having a public debate at a community center. I shared that link to a Facebook Group that was exclusively about my home town. I know the person who “owns” that Group as well. He didn’t want my post in the Group, so he deleted it. As a moderator of several Groups I’ve done this before, not because the Post was bad or offensive, but just because someone else posted a link to the same story before them. It prevents the conversation on one topic from being stretched between two posts. If you remove a Post it doesn’t mean you don’t like the person posting it or think they’ve done something wrong. I had to spend 7 days in Facebook Jail for that event, but it was a weird kind of jail sentence. Facebook told me I couldn’t post in Groups I didn’t manage during that time. I could still comment on my Friend’s Posts, show the love and Like stuff, and I could even use Messenger. 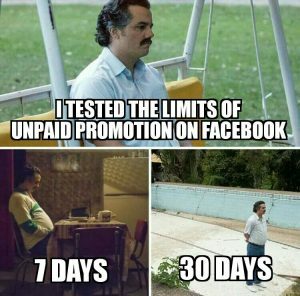 That was more like Facebook Probation. Like the digital equivalent of one of those ankle bracelets someone has to wear when they’re under Secret Federal Indictment. I even spoke to the guy who deleted it. He said he just deleted it without indicating it was “annoying” as Facebook described it. 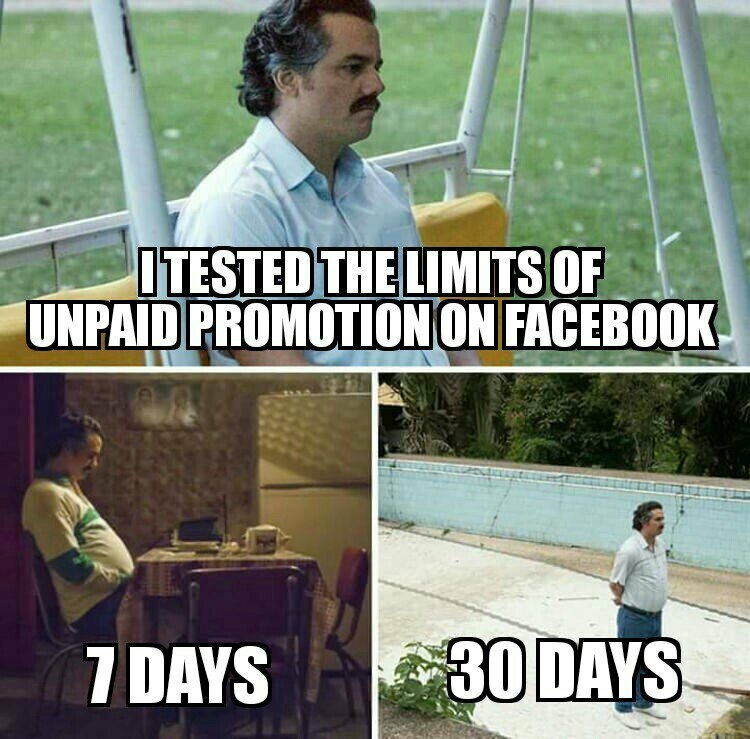 So I essentially got those 7 days in Facebook Probation for that. Silly. And annoying, genuinely, to me, honestly, if anyone cares. So here I am now. I’m not going to say exactly why I got 30 days, full on Facebook Jail, but I’ll tell you a little about how it happened. I wasn’t being hateful or bigoted, in fact I was doing the opposite. I just happened to use a combination of words that someone somewhere might be offended by. I simply made a comment in a Post someone else was the OP (original poster) of. It was a “wow this is a cool thing about the culture being discussed from a progressive perspective” kind of comment. I just happened to use the wrong words. Within seconds I received a notice from Facebook how I had said something that could be deemed offensive by some people. BOOM 30 Days. No warning. No chance to remove or change what I said. I even realized, after I had hit the button, how I used a word that might be considered a “mute word” by the artificial intelligence. So I immediately changed that offensive word to something else. That didn’t matter. By the time I was done changing the word, so as to remove the potential to offend, I was already zapped by the Automated Facebook Community Standards Bot. I was like “Wow – did the robot really just take away my free speech?” It happened so fast that I can only imagine it was artificial intelligence. Either that or Facebook has a cadre of folks sitting in front of special administrative interfaces, flagged instantly when you or I breach the undocumented barrier between propriety and digital banishment, Facebook’s Coventry. Facebook killed Blamegirl. But she’s still on Twitter. I’ve had some time to ponder what happened and why. In the same exact time a Friend of mine who I met on Facebook, and also have met IRL (in real life), had gotten completely Facebook Erased. She was one of the best posters on Facebook I was connected to, a real Force of Digital Nature. She went by the name of BlameGirl, and still does on Twitter, but her Page and her personal Profile have been completely erased. She was there one day, the next day she wasn’t. It’s now as if she never was on Facebook at all. They erased her completely. Now you can’t find her there. We rarely agreed, Blamegirl and I, but that’s what made it fun. I got value out of Facebook because I could count on her sharing the news several times a day and putting her own opinion into the Posts. I got spoiled in High School, debating a literal genius about politics each and every day – the only thing that really made school exciting. So Blamegirl helped me get my debate fix every day on Facebook. It was fun. She was smart and relentless. She had awesome friends and followers who helped kick the convos into high gear all the time. Facebook was in part awesome, for me, not because of Zuckerberg, but because of her. We could have had the same conversations on Reddit or 4chan, but we just happened to be an audience in Facebook at the time. Facebook was awesome for a while there. It was a celebration of Free Speech, built on a foundation of motivation towards Free Speech, nurtured in the USA by an audience who holds Free Speech as one of our core values. We hold it sacred. And because we hold it sacred, some of us, those of us who know it’s value in contrast to its absence, celebrate it in a special way. 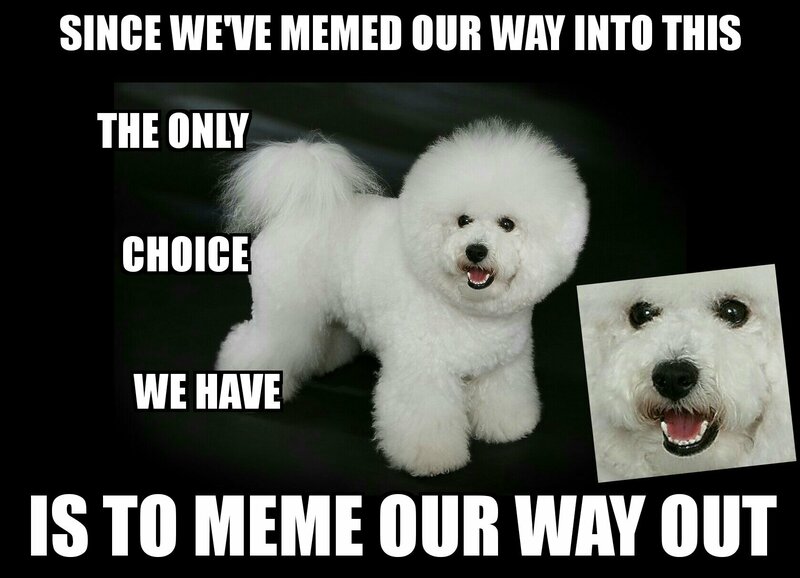 We make memes. We say provocative things, offensive things, things meant to stimulate conversation about important subjects. Sometimes, to get he audience fired up, we might create a meme or say something that’s intentionally designed to offend certain people because THE FREEDOM TO OFFEND IS EXEMPLIFIES FREE SPEECH. How can you point to someone doing something wrong, something philosophically self-negating, if you can’t get under the skin of the people defending it and shake them off their platforms, make them lose their cool? Debate is like that, where you try to get your opponent emotional, so they’ll abandon reason and start revealing their true intentions towards their stance. Especially political debate. USA: #1 Champions Of Free Speech or #1 Global Offender? So now you’ve got people all around the world using Facebook. And as a result it’s not just the people of the land it was born in, people who hold Free Speech sacred. No. Now Facebook has to appeal to the opposite. Facebook has to appeal to people whose cultures and ways of life are completely threatened by Free Speech. I’m not referring to backwards tribes people practicing some horribly brutal and oppressive traditions, poorly assimilating to the sacred foundation of our civilization we take for granted in the Western World. No. Even the Mayor of London has called recently for the end of Free Speech in Facebook. So I’ve got 7 days to go, as I write this. And I think ahead…. Will Facebook take offense to me, finally, and erase me like Blamegirl? Will they get sick of me writing about them, disappointed about how they treat their audience, treat businesses, treat marketers and squander the real potential of their platform? Oh I’ve got a lot more to say. I spoke to a class last night at Lynn University for two hours about Media Buying and how the media landscape has undergone a pole flip. I told them about Part One of what changed media forever, Part Two about New vs. Old Media, and mentioned Part Three, the thing I haven’t got the “courage” to publish yet. I asked them “What is Facebook in trouble for now?” and they all were aware already of the problem the mainstream media has been in a frenzy about: the Cambridge Analytica use of Open Graph Data for political campaign targeting. To me that’s nothing to even discuss – but Part Three is the real controversy. These were graduate students pursuing Marketing degrees – smart people who asked some really excellent questions. Why do I feel weird about publishing Part Three? As much of a critic of Facebook I am it’s because I love it even more. I think it’s brilliant in concept and brilliantly executed. I would even go so far to call it, above all other social media sites or concepts so far, a true “punctuation in human evolution”. It’s super-significant, in terms of what Facebook has accomplished. But recently I have been feeling a little bit like an abused spouse, like someone who can’t quit their abuser out of genuine love and compassion for the abuser’s tragedy. I feel like some of the things I have to say, some of the conclusions I’ve reached, would hurt Facebook too much if I published them. The Cambridge Analytica scandal is nothing. Part Three is something that would make traditional broadcast companies and the mainstream media froth at the mouth about for months, delighted to see Facebook get pummeled. What I have to say would be their new fixation, completely replacing “Russia” like the telephone replaced the telegraph. But I like Facebook. I don’t want to be “that guy”. That doesn’t mean I’m being quiet about it – I’m just not publishing it. Invite me to come speak or for coffee if you want to know. I shot off on a tangent there. Sorry. I’ve been thinking about Part 3 a lot, especially when I explain it to people in person. The looks on their faces express concern. It is concerning. But that’s a much bigger picture. Now we’re focusing on this one little thing: Facebook Jail. 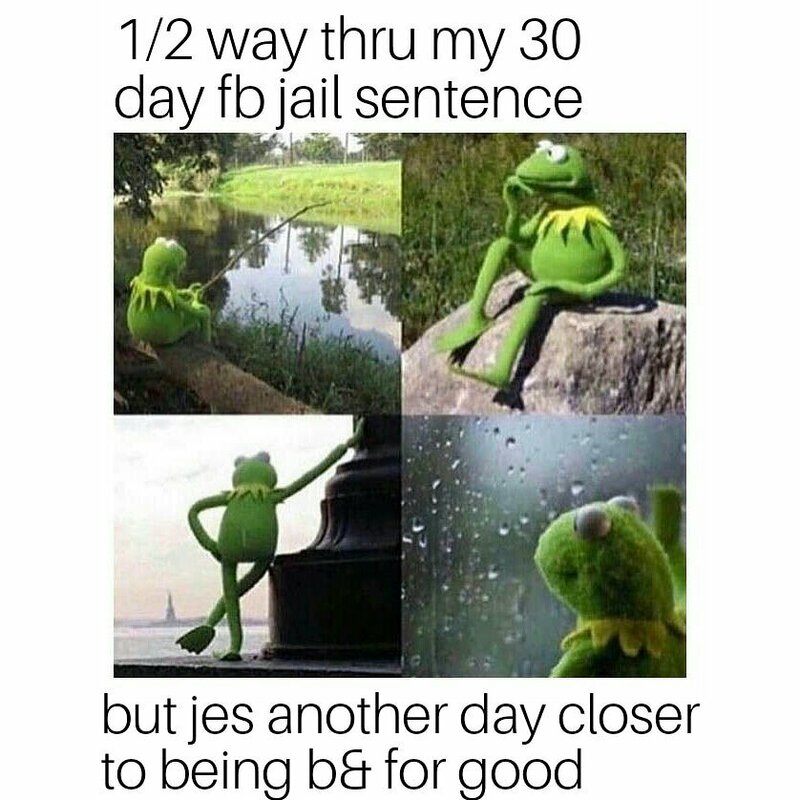 The title of this post is about why Facebook is putting people in Facebook Jail so often now. Let’s get back to that. What does Facebook Have To Gain From Dehumanizing Their Audience? So I’m in jail and Blamegirl is gone completely. I know other people, friends who I avoid being connected to on Facebook, who have gotten thrown off Facebook multiple times only to return with another Profile they created. Sometimes they use their real names and try to Friend me. Sometimes they Friend me using a completely fake name and trick me for a while before their ranting and raving reveals who they are. I haven’t resorted to that tactic, creating another account in my name, because I’ve managed to keep the same Profile for years, so far. I wouldn’t do it either, even if the Profile I use now gets utterly destroyed like Blamegirl, because I agreed not to when I accepted the Facebook EULA. I try to follow their rules to the best of my ability out of respect for their allowing me to use their platform. It’s not mine – it’s theirs. I try to stay in the box because I value the box and I don’t want to make it less valuable for anyone else. If anything I’ve tried always to use it in the spirit for which I was let to believe it was intended: to have fun with friends, to talk, to joke, to laugh and enjoy each other. Some folks just create Fake Profiles because they like being jerks – because they like trolling – and they know they’re going to be getting in lots of trouble. Often these folks are saying controversial things for the reason of drumming up engagement – getting folks fired up so they think about it and present their minds. Even though it might seem jerky, often trolls are making people think about things, important things, from perspectives they’d rather discount or ignore. That’s how the engagement on Facebook evolved over time – if you want your Post to get shown, or idea to be discussed, you often have to go Poe, and pretend to support the opposite of your perspective in a completely ridiculous way, making people arrive at the conclusion you intend: that yours is the rational, defensible stance. This level of subtle social media behavior isn’t easily interpreted by a bot. A bot can’t tell if you’re being sarcastic or ridiculous on purpose to make a point. And for the last decade Facebook has been nurturing people using those techniques of rhetoric to get engagement on their platform. Bots are stupid still. And with regards to American Culture, with regards to conversations driven by people who’ve seen the platform as a means to educate people using the most effective tactics of free speech, people from other cultures aren’t qualified to understand. An American practicing free speech, using Poe tactics, being sarcastic, isn’t meant to be easily an unambiguously understood. That’s the point. And yet Facebook is now letting these obviously dysfunctional bots and anti-free speech moderators kick people off in droves. Is it because Facebook is committed to social justice, champions of multiculturalism, making a place where anyone no matter how repressive they are can feel free from ever being offended? No. That’s the facade. The real truth is about money. Facebook’s user base is no longer growing. In fact, people are now leaving Facebook. How fast are they leaving? How many people are coming in through the In-Door? How many people are going out through the Out-Door? That’s the billion dollar question. The answer, like always, depends on how you do the counting. How fast is the rate of decline? How many real, actual new people are signing up still, creating new Facebook accounts? Eeek….. that’s the question. How Fast is the Audience Shrinking? So how would you count things if you were doing the Attrition Accounting there at Facebook? Would you count the same person twice if they had two accounts? What if you “forgot” to account for all these weird “alt-accounts”, multiple profiles operated by the same person? Wow that would be awesome. Your count wouldn’t suffer from reality so much. How could you induce more people to create these “alt accounts”, make a legitimate, loyal user create a second account? How could you drive them to do that? The Payoff From Dehumanization – Destroying Them Makes Them Multiply …. right? Well, one skeezy, dehumanizing way to do it would be to ramp up the oppression level on the Facebook Punishment Bots, perhaps hire some folks from incredibly anti-American, repressive cultures and oppressive regimes where the labor is cheap. Maybe you can wrap it in a bow of multiculturalism and sell it to the people as “making them more safe”? That might be brilliant until someone dumb like me puts 2 and 2 together. Maybe it would be an ok strategy to employ if the timing is right, and nothing goes wrong with it. It would obviously decrease the basal attrition reality and fluff those numbers up towards something more investor-friendly. But if something else happened, a movement like #QuitFacebook, at the same time, that just might be a punch to the gut that takes longer to recover from than expected. That might be the punch that doubles you over and leaves you defenseless towards the otherwise ineffective flurry of weak accusation. Unfortunately with the Cambridge Analytica event now, the #QuitFacebook movement in full swing, this strategy of abusing your audience to make them pretend to grow might not be the wisest thing to continue. I’m not saying you should #QuitFacebook too. No. Just the opposite. I think you should support Facebook. I think you should value this platform that Profile ID #1 created. Profile #1 may not have Friended you or I but he still did something amazing for us all. 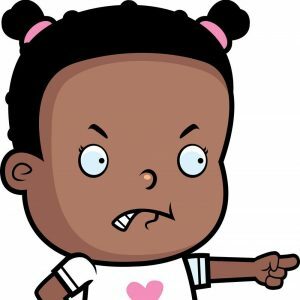 Get over the fact that you agreed to let everything you posted public on there, even your behavior on other websites, be recorded and shared. You agreed to it. It’s creepy, yeah, and we can’t go asking our grandparents for advice on how they used Facebook generations ago – we are the experiment. Rejoice in your opportunity to be part of something so next-level, even if it’s creepy and you get some bruises. Some of us aren’t just here to share cat pics. Some of us are getting radical, celebrating the limits of freestyling, and you shouldn’t quit doing it either. But if Facebook wants us to keep doing that, being partners in this giant experiment, then they’ve got to treat us a voluntary peers, not as cattle or guinea pigs. Sure we’ll agree to stick around, but don’t dehumanize us man. Don’t be siccing your bots on us verbally free Americans. Don’t go against our culture, the culture that nurtured you, the businesses that stuck your stickers on their doors and propped you up because they thought you’d do the same. Don’t be forgetting to reciprocate the love; treat us like human beings again. I don’t care if you share my data like I agreed you could. I just value something more than keeping people who are threatened by free speech feel safe; I value transparency and honesty. This idea of ramping up the bot and committee oppression, putting more users in Facebook Jail, is so stupid it couldn’t have been something Mark Zuckerberg thought of. Maybe someone’s convincing him of the pros and not the cons of it, but I can’t imagine such a dehumanizing strategy for treating your audience emerged from the same mind that created Facebook. No. I refuse to even consider that, perhaps out of some kind of blind loyalty, admittedly. As much as I’m an “industry guy” who has some kind of elitist option, don’t discount me Zuck. I’m still a willing test subject, a loyal member of your audience whose sentiment isn’t alone. I still believe in you, think you’re Tops, but please, dude, don’t let me down. Those are big shoes to wear when you open up people’s imaginations, give them tools that let them be more free. Sometimes it is scary, creepy, and maybe doesn’t feel so safe, but overall it is something that is good. We Made You. We Still Do. We Still Make You. Don’t Forget That. We’re the ones on your side. They never will be despite how much perfume they fill your air with. Nobody threw eggs at their telephones but aren’t telephones tools that allow horrible people, criminals, plan horrible things? What’s the difference between that technology and Facebook? I know the answer lies in who it threatens. We’re on your side bro. Call off your bots and come clean with those of us who are your loyalest fans. They were never your friends, Mark. They just wanted to keep their enemies closer. We’re the ones who will always be, by definition, on your side. I loved this. I absolutely felt betrayed. And then felt weird about feeling betrayed by an app run by bots. I was grateful for all the connections I made on FB and how I was able to grow my brand. I wish I could’ve done more with it before they erased me from existence. Great article. Thank you for your perspective on this ongoing social experiment called FB. It gives me a new vision to share with the many that I interact with on a daily basis. I found myself in FB jail just an hour agon, I am 73 and a user of Facebook for years , my space before .. apparently I was reported by a woman for calling her an imbecile and saying I went to her page .. made no comment on her page .. just checked to see why she was badmouthing others and putting racist comments on a stupid news article , there are so many horrific things on Facebook and Inam in jail for calling her an Imbecile , tried every way to.contact them to no avail .. this is ridiculous ..
I’m currently in FB jail. It’s my first time, so it’s only 24 hours. I can still use Messenger, I just can’t like, post, share, or comment. They are threatening to pull my account altogether if I screw up again. So, I don’t even get to go through the due process. They more or less told me “next time, there will be no next time”. No 3 day ban. No 7 day probationary period. No 30 day ban. Just completely gone. So I suppose I will have to walk around on eggshells once my ban is lifted. I have met some wonderful friends on FB, and the thought of losing contact with them just rips me up inside. That’s why I am being proactive. I am asking all of them for other contact info. E-mail addresses phone numbers, etc. I suggest others do the same. You depend on just FB to get in contact with people. Your account can be here today, and gone tomorrow. So much truth it hurts. I had my original Facebook wiped at the onset of Bernie getting duped by Hillary. A lot of us berners were upset however we got zucked. Then account disabled. Sending in proof wasn’t enough and still isn’t. They want alt accounts we left for MeWe. Bye Facebook, realize you’re failing where AOL, yahoo and MySpace did. Censorship! Facebook has thrown me in jail for stupid stuff that other people have shared who weren’t grounded by Mother Facebook. I’m done with Facebook. I’ve left it, and gone to MeWe. It’s like Facebook, but without the Morals Gestapo randomly grabbing citizens, and throwing them in jail. I just got off a 30 day ban for daring to make a jab at trailer trash and gangbangers. It seems like you cant post anything even remotely topical/controversial these days. The place is becoming a joke.